A doggedly persistent and effective trial lawyer who thrives in the courtroom and whose experience enables her to wisely pick and choose her battles in order to achieve her clients’ objectives. 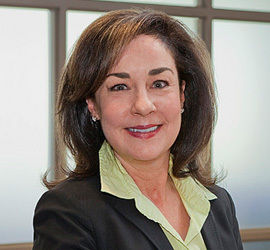 Cheryl Diaz has over two decades of experience in commercial litigation and dispute resolution. Her clients run the gamut from Fortune 500 companies to start-up companies and individuals, and do business in many diverse industries, including banking and financial services, commercial real estate, construction, energy, restaurant and hospitality, and product manufacturing and distribution. She has been engaged to evaluate, prosecute, and defend a broad spectrum of claims throughout her career, ranging from the most complex contractual disputes to securities fraud, mortgage fraud, and other business torts. Clients frequently call upon Ms. Diaz to protect them from potentially devastating business attacks. They appreciate her proven track record of obtaining emergency injunctive relief when the situation requires it. She has been able to step in and prevent such things as the interruption of mission-critical business services and the interference with crucial corporate funding. She is a doggedly persistent and effective advocate who thrives in the courtroom, and a powerful and effective communicator who adeptly paints each client’s unique story in a compelling and persuasive light. Having tried a significant number of cases to verdict as lead lawyer in both state and federal courts and in some of the most difficult venues, Ms. Diaz is able to quickly and effectively assess and evaluate each matter. She then partners with her clients to come up with the most creative and cost effective strategies for resolving the legal dispute consistent with her client’s business objectives. Clients value the fact that she looks not only for legal solutions, but also for the business solutions that can benefit her clients.Ms. Diaz works closely with her clients to identify takeaways from each dispute that can lead to better business practices that reduce the risk and costs of litigation in the future. Has represented banks throughout her career in connection with a broad spectrum of claims, including lender liability, mortgage fraud, negligent misrepresentation, officer and director liability, wrongful foreclosure, and consumer disputes. Has handled commercial real estate disputes for property owners, developers, partnerships, landlords, tenants, and homeowner’s associations, including disputes to enforce their respective contractual, common law, and statutory rights. Successfully represented both property owners and contractors in claims for defective design and workmanship in construction, as well as industrial accidents. Successfully represented an investor in an arbitration brought against the managers of a venture capital fund for misrepresenting the nature of the investment. Successfully represented a foreign corporation in an international arbitration against a U.S. distributor for breach of contract and breach of the U.N. Convention on Contracts for the International Sale of Goods. Has had significant success in obtaining injunctive relief to prevent such things as the cessation of the delivery of mission-critical business services, the disruption of crucial start-up company funding, and the violation of covenants not to compete.